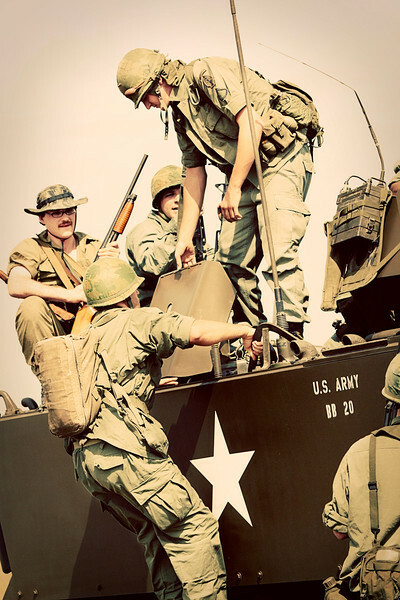 From the "Greatest Generation to the jungles of Vietnam, Karie specializes in historical reenactment photography, capturing the details, and feel of a bygone era, or the ruggedness, and reality of combat. While her services are available to other historical reenactment organizations, Karie participates with the 6th Cavalry Historical Association and General Patton's 3rd Army Living Historians. "One of the purposes of my reenactment photography is to help educate others about key historical events, portrayed through living historians. But more importantly it is my hope that the photos will compel viewers to have a deeper sense of gratitude, and understanding of the lives of those who lived, served, and died during those turbulent times of war."